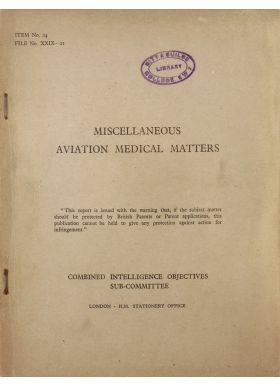 WWII Miscellaneous Aviation Medical Matters German Report - Combined Intelligence Objectives Sub-Committee intelligence report containing list of medical targets for urgent investigation including experiments with high altitude bailing and water landings, duplicated type written report, 163 pages, including numerous wartime photographs and illustrations and approx. 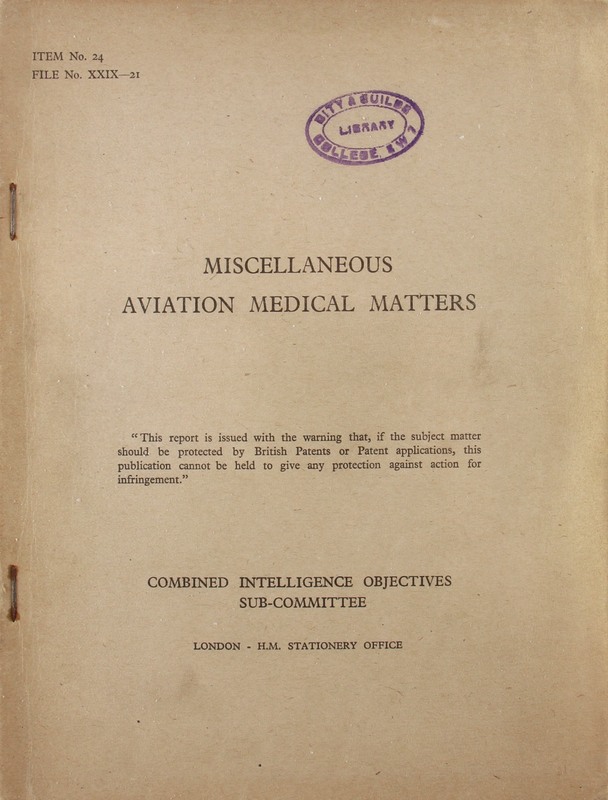 150 pages of secret German reports between 1942 and 1944. Very good clean condition throughout.